ROME—A victory for the South of Italy: the coronation of Matera to become Europe’s capital city of culture in 2019. A victory, seen as a breath of fresh air, able to push the boundaries of the Region of Basilicata, and make it known to the whole world. While the organizational machine begins to move, the Committee ‘Matera2019’ is already taking the first steps towards the window represented by Expo 2015 in Milan. It is clear that opportunities go hand in hand with the work that needs to be done in the next few years. After the ritual celebration, the first call comes from Federconsumatori, Italy’s biggest Consumers’ Association. The main issue is to complete infrastructural works, such as roads and railways, necessary for the success of the event. The railway station, whose works have been blocked since 1986, is in a shabby state today. The Committee estimated at least 5 million visitors in the course of 2019. They will be reversed in the small town of Matera with about 60,000 inhabitants. 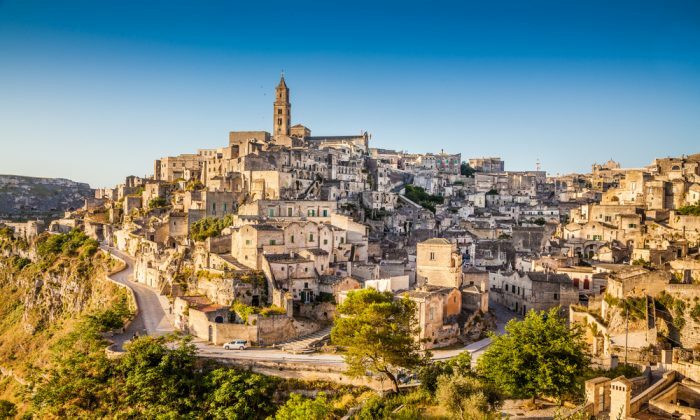 An impact that the ‘city of rocks’ – Matera is a UNESCO world heritage site since 1993 – must be able to manage, cooperating with neighboring regions, and trying to ‘bring home’ those who have fled away. The unemployment rate is among the highest in Italy – 15.5% according to Italian Statistical Institute ISTAT. Many have been trying their luck elsewhere. An opportunity not to be missed for the ancient city, which was the scene of more than 50 national and international movies such as ‘The Passion of the Christ’ by Mel Gibson, or ‘King David’ with Richard Gere. In the eyes of Joseph Grima, Artistic Director of ‘Matera 2019’, the victory – against Cagliari, Lecce, Perugia, Ravenna, and Siena – is the result of a concrete planning which will become reality, thanks to a €25 million investment coming from the State, and from private sponsors. I spent my first day in Rome visiting the ancient ruins and monuments within the strict center of the ancient city.